In June, reproductive rights groups filed a lawsuit against Texas policies that they say promote inaccurate information to patients, shame women seeking abortions and create barriers to the procedure. 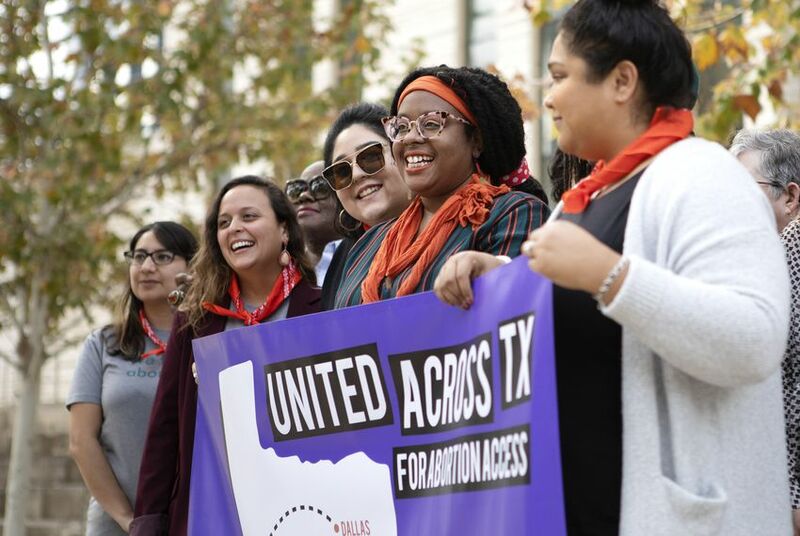 The plaintiffs — Whole Woman’s Health Alliance, the Afiya Center, Fund Texas Choice, the Lilith Fund, the Texas Equal Access Fund and the West Fund — claimed in their filings that the laws particularly harm low-income people, women of color and other marginalized communities. The lawsuit cites the U.S. Supreme Court's ruling on Whole Woman's Health v. Hellerstedt, in which the high court overturned restrictions passed as part of House Bill 2 in 2013 that required all Texas facilities performing abortions to meet hospital-like standards. Those restrictions included minimum sizes for rooms and doorways and pipelines for anesthesia. Advocates are now attempting to retroactively apply the ruling to Texas abortion-related laws going back to 1999. During Monday's hearing in Austin, Beth Klusmann, assistant solicitor general for the Texas Attorney General's Office, said reproductive rights groups were suing to overturn the abortion regulatory system and that it would be easier “to list statutes not being challenged.” She also called the lawsuit “meritless” and “overreaching” as the groups were emboldened to pursue the lawsuit after the Whole Woman’s Health v. Hellerstedt ruling. “It would essentially require the court to rewrite abortion law in Texas,” Klusmann said. The Attorney General’s Office said in a news release that Texas isn’t alone with how it regulates abortion providers. The office said 40 states require physicians to perform abortions, 44 states have parental involvement requirements and 29 states have laws requiring physicians to provide certain information to patients considering an abortion. Reproductive rights groups also argue that the state’s “A Woman's Right to Know” booklet for patients is medically inaccurate. The suit targets a University of Texas System policy barring students from getting credit for internships and field placements at institutions that provide access to abortions. “Time and time again, politicians in Texas defy the public’s trust and use their power to advance their extreme anti-abortion agenda from public office — each time it happens, the courts and the people of Texas have to hold them in check,” Hagstrom Miller said. Emily Horne, senior legislative associate for the anti-abortion group Texas Right to Life, said after the hearing that reproductive rights groups went "too far" by trying to overturn regulations that go back decades. She said the challenge was more about profit for providers than patient safety. "It's not a well-structured, well-based case," Horne said. "They're trying to see what sticks to the wall." Yeakel did not give a timeline for making a decision on if the case would proceed. Disclosure: The Afiya Center and the University of Texas System have been financial supporters of The Texas Tribune, a nonprofit, nonpartisan news organization that is funded in part by donations from members, foundations and corporate sponsors. Financial supporters play no role in the Tribune's journalism. Find a complete list of them here.